Mountain lovers would probably understand the depth and beauty in this quote. Though the trails of Kasauli are not crooked and dangerous, they surely are worth exploring. More than once, I found myself glued to my resort’s sit-out area and ferried to another world with the magnificent mountains in front of my eyes. Something magical and mesmerizing was flowing along the wind with a tinge of tranquility. What a delightful experience….!! 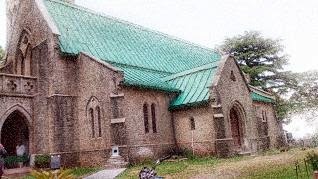 The town was established as a Colonial Hill Station by Britishers and is predominantly a cantonment area. During our two day stay, I hopped across the town to see all the touristy places namely, Christ Church, Manki Point, Sunset Point, Mall Road and Baba Balakath Temple as I din’t wish to miss an inch of this beauty. Though in the end, one gets to witness the best views by just gazing at the silent mountains all across. For nature lovers and art enthusiasts, this place can bring the best out of you as well as enrich you in the most unimaginable way. For people who love to hog (mentioned since I am one), there’s not much to relish, just few cafes at the Mall road serving average food. Ηow to reach: You can reach Kasauli by road, train or bus (I traveled from Delhi). The nearest railway station is Kalka from where you can board a taxi to Kasauli which takes around 1 hour to the hill. However, I would strongly recommend you to hit the road as driving on the newly constructed Himalayan expressway is a delight in itself. And, if you are flying to Delhi from somewhere, just hire a taxi to Kasauli. Àccommodation: We took a family suite (4 adults) in Mahal Farms Homestay, constructed recently, for which we paid INR 5,000/night. Considering the exorbitant hotel prices elsewhere, our homestay was quite reasonable and totally worth it as we were welcomed and served well throughout our stay. They provided in-house vegetarian North Indian cuisine prepared with fresh ingredients everyday, hence we were requested to order 1 hour in advance. To feed the omnivores, they offered non-veg cuisine as well through a tie-up with a famous hotel nearby. As far as service was concerned, they scored a Perfect 10! from my end. The reservoir behind the trees supplies water to the Cantonment area! Personally, I loved this small town perched at a height of 1,800 meters or 5,900 ft. There is not much to do but that’s how hills are, so relax and discover yourself. The place boasts of few other reasonably priced resorts serving decent food and an enthralling view of the valley. If you wish to unwind and leave behind the chaotic city life, pack your bags and head to this place. Go on and find your own trail in the woods which may not lead to any treasure but the journey in itself would suffice. What a pleasant and unexpected surprise one weekend!! I had no idea about the severe restrictions in Kasauli! That’s why it still is gorgeous. And, look at Simla, a lil up-ahead, completely ruined by city-dwellers. I am hoping to visit India again later this year and Himachal Pradesh will be on my itinerary. 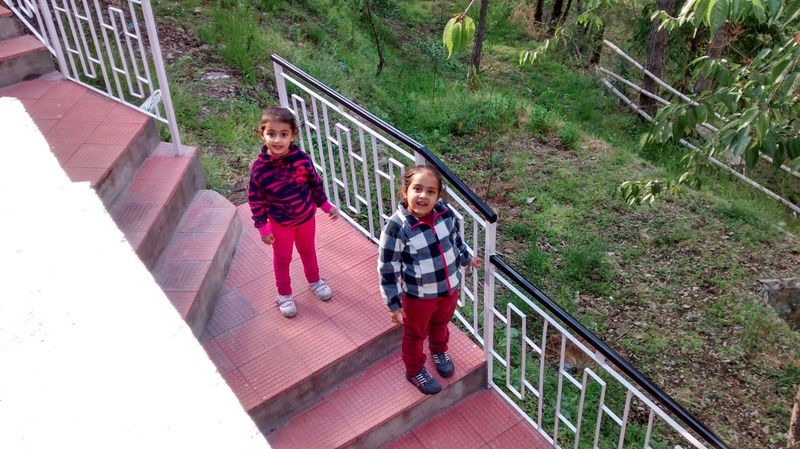 I am planning to stay in Homestays as i find them the best way to connect with locals. Happy to hear that Dave! 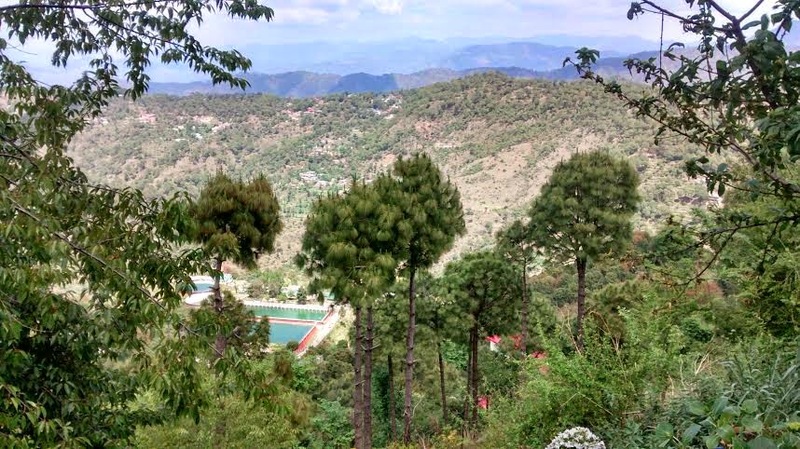 Do check Mahal Farms if you plan to visit Kasauli. I may be visiting Himachal Pradesh (hoping to reach Shimla) via the Kalka railway next month- the info about Kasauli is great to know. Looks like a beautiful spot! Great, you would love Himachal. I think a day trip to Shimla would be nice, its way too crowded and commercialised these days. If you wish some solitude and mountain views, plan to stay at Chail, Kufri or Kasauli. Just a suggestion! Happy Travels.